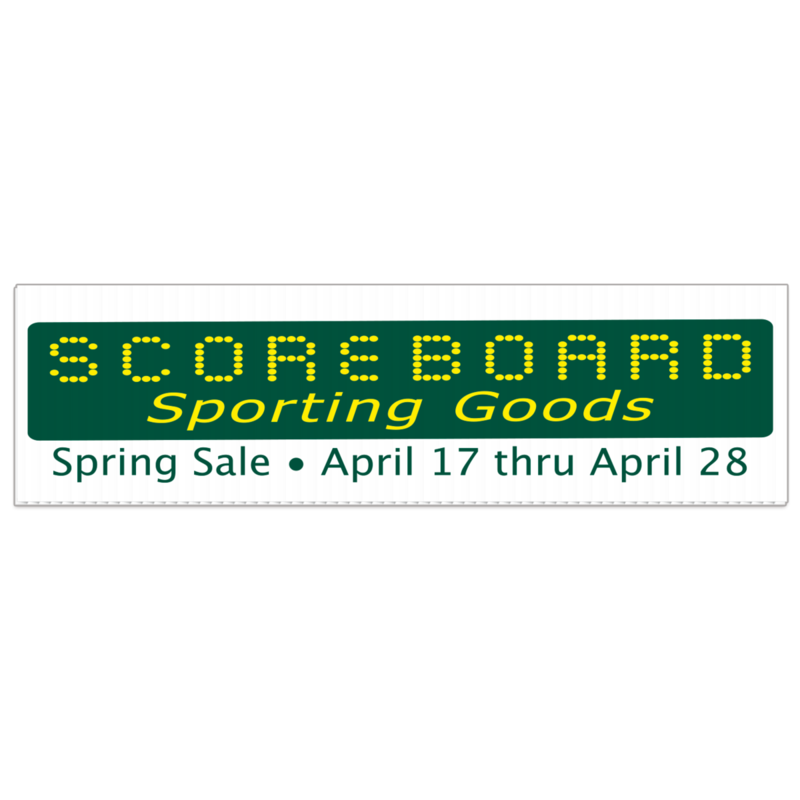 A durable all weather, corrugated yard sign great for long-term outdoor use. White or yellow, all weather, corrugated plastic, 3/16" thick. Furnished on white corrugated unless otherwise specified. Fluting is vertical and will accommodate wire frames. Bleed not allowed. Imprint can be no closer than 1/2" from all edges. Two sided imprint uses the same imprint on both sides. Union Label AFL-CIO: Available by request. Used on all political orders unless specified.